Cigarettes cause cancer, ergo nicotine causes cancer. This is a common and completely false misconception associated with nicotine. It’s true that nicotine is not 100% healthy. However it’s the tar, toxins and the multitude of other lung and body destroying chemicals within cigarette tobacco that does the damage. So now we’ve cleared up the fact that it doesn’t cause cancer, here are the other facts about nicotine that all vapers need to know. Yep, this one is true – and if you absorb enough nicotine, it could even kill you. Standard textbooks and medical journals indicate that it would take around 60mg to kill the average adult. In cigarette terms, that’s around the same as smoking 30 to 40 fags in a relatively short amount of time. Keep your e-liquid refills and cartomsiers out of the reach of small children, as they are more susceptible to potential nicotine poisoning. For the record, all the e-liquids that we sell come in a compliant child-proof bottle (CHIPP), so they are safe from young hands. Make sure you buy e-liquid refills form certified suppliers. Again, our e-liquid is subject to rigorous testing and adheres to the highest approved European standards for safety. You have may have heard some reports that nicotine is more addictive than heroine. While the studies that support these claims are somewhat inconclusive, there is no doubt that nicotine is a highly addictive drug. That said, many studies – including this one – have concluded that smokers are addicted to the physiological aspect of smoking as much as the nicotine itself. For clarity, by physiological, we mean the feel and satisfaction that smokers experience when holding and drawing form a cigarette. For this reason, it is possible to surmise that, in the act of smoking, the addictive properties of nicotine are exaggerated because smokers are also physiologically hooked to cigarettes. In fact, one of the reasons why smokers find making the switch to e-cigarettes easy is because they mimic the physiological side of cigarettes so well. For more information about this subject, take a look at our blog: 5 Reasons Why Electronic Cigarettes Work. To be precise, nicotine is a biphasic – which means it both stimulates and relaxes you. In small doses, it acts as a stimulant and therefore increases the physiological and nervous activity in your body. In particular, nicotine increases the heart rate and blood pressure – however, in sensible doses, no more than an average cup of coffee. Conversely, in larger quantities, nicotine can help to relax you, which is why a lot of smokers immediately turn to their cigarettes in situations of high stress. Now that we’re done with the bad stuff, here comes the revelation that, in certain contexts, nicotine is good for you. Long story short, nicotine triggers the acetylcholine receptors in the brain, which stimulates several key brain chemicals – including serotonin, dopamine and norepinephrine. 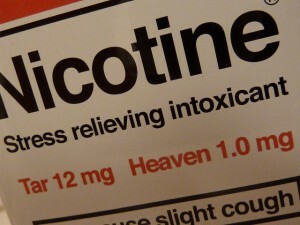 Subsequently, a whole host of HYPERLINK “http://discovermagazine.com/2014/march/13-nicotine-fix”studies has collected evidence that suggests stimulating these chemicals with nicotine can help with depression, schizophrenia, Alzheimer’s and other cognitive impairments. 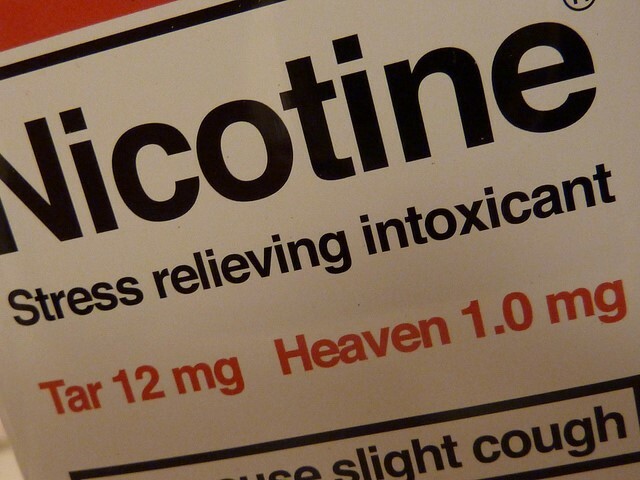 For a longer, more detailed exploration of the health benefits of nicotine, check out our guide: ‘Introducing The World’s Most Surprising Wonder Drug: Nicotine’. Nicotine suppresses your appetite. This has been known for a long time, and historians have provided details about how nicotine was first given to soldiers before battle to suppress their hunger and to keep them focused for fighting. Although nothing so drastic is needed nowadays, there’s no escaping the fact that nicotine makes you less hungry. For some smokers, this fact has acted as a deterrent for quitting, due to the fear of putting on weight. If you do smoke, and you’re worried you’ll gain weight if you do quit, a nicotine replacement treatment such as e-cigarettes can help allay those fears. If you want to swap traditional cigarettes for an alternative hit of nicotine, take a look at our range of iCig Electronic Cigarette Starter Kits. These easy to use e-cigarette starter kits include everything you’ll need to start vaping today – including an e-cig, charger, case and refill cartridges. Alternatively, if you want to learn more about making the switch to electronic cigarettes, check out our guide: To Vape or Not To Vape? Investigating the Benefits of Electronic Cigarettes.